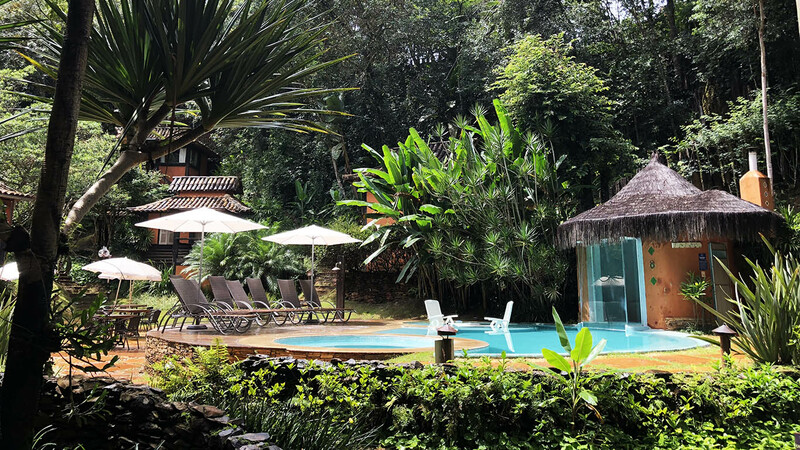 Pousada Vila Solaris is located just 15 km from BH Shopping, in the southern area of Belo Horizonte, Minas Gerais, in the center of the village of Macacos (São Sebastião das Águas Claras), part of the Estrada Real circuit. Altogether there are 20,000 m² of preserved and streams forests, private cottages and charming suites, recreation area with pool and waterfall, heated spa, sauna, games room with pool, gated parking, sushi bar, massage spa, concierge with night watchman, and several spaces for corporate and social events. We offer several options for outdoor weddings with accommodation in the style of 'destination wedding', plus a brand new ballroom for up to 500 people with private parking. Vila Solaris is the new meeting point in Macacos: accommodation, events, charm, cuisine, music, art, culture and nature.